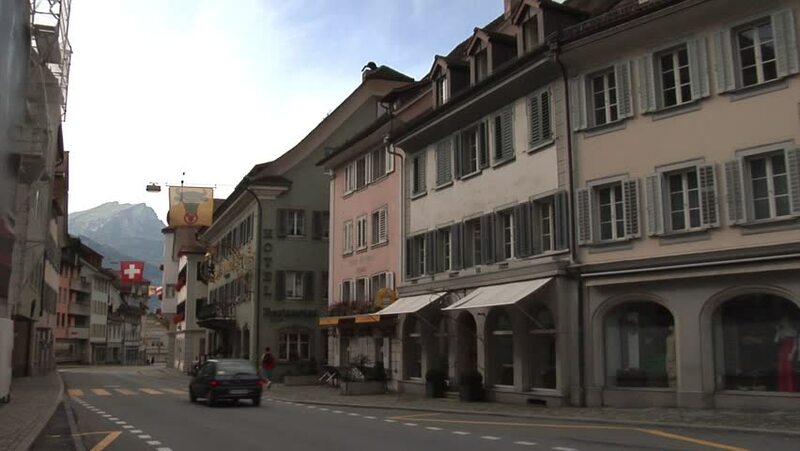 ALTDORF, SWITZERLAND - CIRCA 2013: Altdorf town in Switzerland. 4k00:16Street scene motion of old historic buildings at Harpers Ferry National Park in West Virginia. sd00:16BOSTON - JUNE 01, 2002: Symphony Hall with traffic passing in front on Massachusetts Avenue. 4k00:16Tranmere, England, September 16, 2017. One corner of Prenton Park, home of Tranmere Rovers Football Club and a British pub taking the same name.